This is the second handbag-centric story I’m writing in a week, which means that aside from having way too many things in my shopping cart, I’ve also seen a lot of bags. There are countless handbag trends emerging (and persisting) as we dive into 2019, such as mock croc, updated belt bags, an emphasis on neutrals, and more, but one seems to overshadow them all. What is it? It’s strange. Yes, you read that right. This year, bags are getting weird—but in the best way possible. Take just one of cult contemporary brand Staud’s latest launches as an example: the Alice bag. It looks like, well, I’m not even really sure what it looks like. An ancient jug? The kind of bowl that would hold fruit in a still-life? Whatever it is, it’s cool. And while it might make one do a double or even triple take on the street, it also, without a doubt, invokes both compliments and envy, and such is the case with so many other new purses this year. Whether shockingly small, an atypical color, an unexpected shape (think caboodle or basketball), or any combination of those things, strange is indeed the new sleek in the handbag world right now. If you’re looking to get on board, just keep scrolling to shop the best of the bags below. So good, it can get anyone on board with this trend. This tiny bag could nearly pass as a large necklace. Eye-catching, but also it has a carabiner attached, so I'll leave you with that. Upside down chef's hat, anyone? Even for Edie Parker, this is unique. Why have one bag when you can have three, connected by a beaded handle? Even Susan Alexandra is taking things to new levels. A lot of (great) things going on here. Excentric but ladylike at the same time. There's even more where this came from. Shrimps' famous pearl bag just got an update. This feels oddly classic while still making a serious statement. Staud deserves two spots in this story. 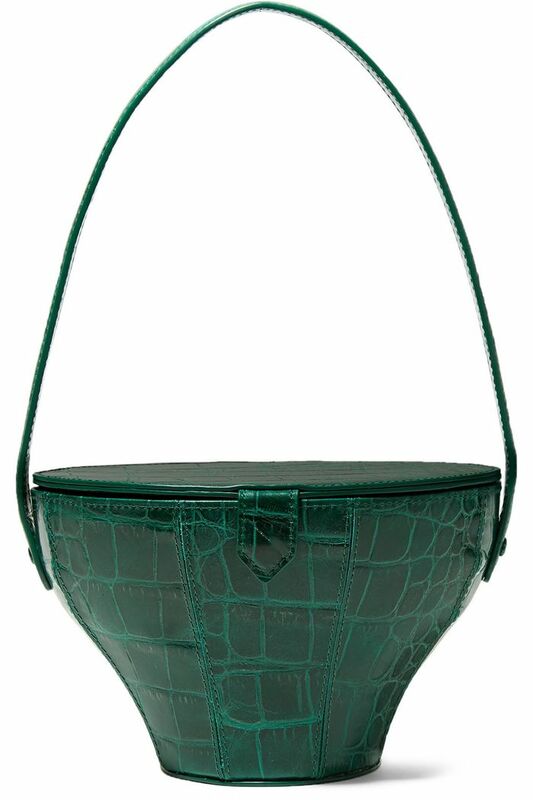 Danse Lente's bags always turn heads. Up next? The new designer It bags everyone will be wearing this year.